Compact cameras can turn out to be the perfect first digital camera or a small camera that you can use for family holidays. These small cameras are travel-friendly as they easily slip into your pockets and don’t weigh much. We have compiled a list of some of the best compact digital cameras that may change your photography game altogether. Pocket cameras or point and shoot cameras aren’t as popular as they used to be once upon a time. With the introduction of amazing smartphone cameras, the market for beginner level compact cameras became non-existent. Instead of opting for the best small cameras, people started to buy smartphones for competitive cameras. For most of the people, buying a digital camera was somewhat of an additional purchase. So instead they purchased a smartphone with an intelligent camera. Now the best point and shoot cameras on the market are coming out with features that will blow off your mind. Compact cameras give you an alternative option for good image and video quality without spending a lot on DSLR cameras. The compact camera market is religiously putting out new products that are advanced and boast amazing features. These portable cameras are giving DSLRs and mirrorless cameras a run for their money. They have come out with larger sensors that guarantee better imaging, in some cases, and range flexibility. Why we should buy it: This compact camera has an amazing image quality with bigger and better battery life. The Good: This digital camera comes with a design is beautiful and innovative with film simulation mode and hybrid viewfinder. The Bad: You don’t have the option of 4K video on the small camera, you can only shoot in 1080p and the ISO dial isn’t practical. With the launch of Fujifilm X100F, we are quite easily looking at the best point and shoot camera aimed at enthusiasts. This portable camera comes out with all the improvements that we have been waiting for. It sure does comes at a hefty price, but if you look at its performance and features you will realize that there isn’t anything quite like the X100F. When the original X100 was launched it came out with a retro-inspired design and controls that will satisfy professional and enthusiasts equally. 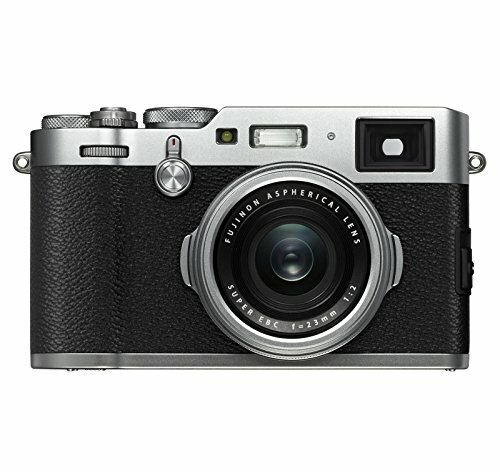 X100F is the fourth rendition in the X100 series and it outperforms all others. Considered as one of the best compact digital cameras on this list, this camera comes with a hybrid viewfinder, 3-inch screen that has 1,040,000 dots and the CMOS III APS-C 24.3 megapixel X-Trans sensor improving the overall image quality and camera’s range. The standard range for ISO on X100F is 200-12,800 and you have the option of capturing RAW images even with the expanded settings. Because of its size, it lands in the list of best small cameras with phenomenal performance. Fujifilm works on Kaizen philosophy which means that the company continues to improve and evolve. You may think that a lot hasn’t changed since X100 just by looking at it but wait until you use it. Quite honestly image quality on this pocket camera is amazing, the camera makes sure that the high sensitivity noise is taken care of. If you are looking for lovely results then the film simulation mode will help you achieve just that. Besides that, you have a lot of flexibility all thanks to the broad dynamic range. Best travel cameras have some of the most sought-after control changes if they want to make a mark for themselves. X100F is no different, it comes out with refined control layout and that is what sets this compact camera apart from others on the market. The handling of X100F has completely transformed because of the focus level and command dial. However, the ISO dial didn’t do well with the users as most of them thought it was impractical. It is a good camera that you can instantly start taking pictures with making it the best compact camera for travel. The autofocus has improved compared to the previous versions however it still isn’t the quickest. The fixed lens on this one might not sit well with a lot of users and even limit the niche. If you compare it with zoom lenses available in other digital cameras, you might be able to see some flexibility, however, nothing can match the performance at this price. Why we should buy it: Sony RX100 V is a premium quality compact camera that boasts high-end features and has phenomenal performance. The Good: This digital camera has advanced 4K video mode, amazing image quality and 24 frames per second burst mode. The Bad: No touchscreen and some handling issues are quite frustrating considering the price. In the last couple of years, smartphone cameras have been destroying the low-end compact camera market pushing manufacturers into working harder and striving for better features. While most small camera manufacturers were directly competing with smartphone cameras, Sony decided to play the game differently. Sony aimed all of its resources towards manufacturing the best compact digital camera with premium and high-end features. 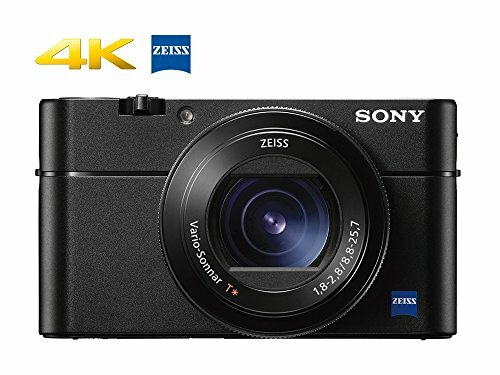 Sony RX100 V produces phenomenal images and videos which are far better than smartphone cameras, competing with heavy DSLR and mirrorless cameras but without the weight. RX100 V is, without a doubt, the most technically advanced portable cameras on this list. It gives competition to the more expensive DSLR and mirrorless cameras. However, some argue that the advancements play against Sony in terms of its competition. Imagine, how many photographers would require such advanced features in a compact camera? Sure, it is considered as one of the best point and shoot cameras but with the application isn’t that vast because of the 2.9x optical zoom. Best small cameras are often used by beginners who just want to take pictures without the hassle of adjusting the settings. RX100 V can be quite difficult to use in specific situations when you can use both of your hands or sit in a position where a touchscreen is a must. A good hand grip is also missing which can be frustrating. Considering its price, AG-R2 grip was expected to be included but it isn’t. You may think that we are being a bit harsh on this compact camera but we are just weighing the pros and cons. There is no doubt that this could potentially be the best compact camera for travel, however, some missing key elements frustrate us. RX100 V is a class apart and boasts some of the best features in compact cameras. If you are looking for a capable compact camera for traveling that gives you amazing image and video quality then this is the best travel camera that you can get. However, you might have to lower your standards for hardware and handling. 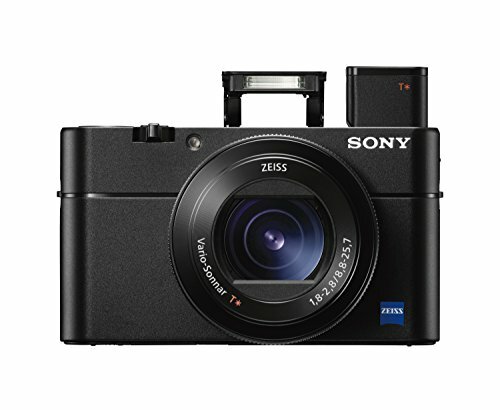 RX100 V has a 20.1 megapixel 1.0 inch Exmor R CMOS back-illuminated lens sensor. This makes the stills taken from this compact camera phenomenal, quite honestly it is a beast. This pocket camera has a readout speed that is incredibly fast. All thanks to these tweaks, you can now shoot at 24 frames per second for burst shooting mode with AF, full resolution and auto exposure. While everyone in the digital camera market is fighting for 4K footage, Sony RX100 V has taken it a step further by providing sharper and clearer video results. This compact camera can be used by people from all categories since it gives you the professional results at the ease of the best point and shoot camera. Why we should buy it: You can produce phenomenal images and the, camera gives you plenty of control. The Good: You get an electronic viewfinder, top quality lens and large sensor in a small camera. The Bad: No touchscreen, flare at the edge of the lens and lower megapixel images as compared to the lens. The debate over the sensor size in a portable camera has been going on for some time now. Panasonic has finally come up with the right lens that goes well with the sensor and offers amazing images. The aperture ring with exposure compensation dial and shutter speed screams traditional controls making it a simple and easy to use a digital camera. While some of the best point and shoot cameras don’t have an electronic viewfinder but as soon as a compact camera offers it, we use it as the first means of image composition. The electronic viewfinder on DMC-LX100 is a bonus for us, although the main screen isn’t that bad most users automatically incline towards the viewfinder. The reason it lands in the list of best compact digital cameras is that of its sensor size. DMC-LX100 uses the Four Thirds sensor meaning the pocket camera will produce better and high-quality images. You also get more control over the depth of the field considering the maximum aperture. You can easily check the settings and make adjustments to them because of the traditional controls. It is a pocket camera that is easy to carry, it’s comfortable and gives a high-quality feel. You can carry it without the straps making it one of the best compact cameras for travel. The arrangement of the menu is actually logical, so if you’ve set it to custom you can easily cut the scrolling time and simply skip to the options you want to utilize. The absence of a touchscreen is a bummer for us, sure the cost had to be cut somewhere but a touchscreen is quite useful when it comes to practicality. Especially in the case of setting the focus point, a touchscreen makes it easy and quick. The best travel cameras that are prone to a flare come with a hood. 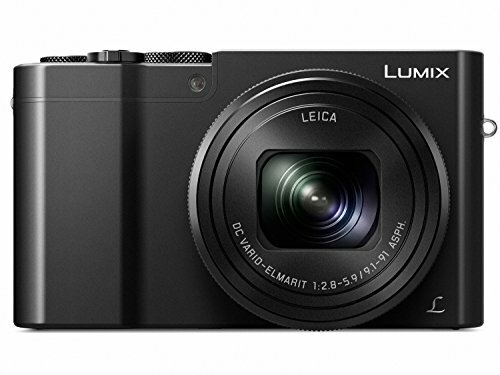 Despite being one of the best small cameras, Panasonic DMC-LX100 comes without a hood. Panasonic DMC-LX100 is a substantial compact camera that produces amazing stills and gives you plenty of control options. The features provided in this digital camera are extensive, especially the EVF which makes composing in bright conditions quite easily. It is a pleasure to use the Panasonic DMC-LX100. The traditional controls might put off beginners but enthusiast photographers are all up for it. They enjoy how everything is under their control and get to use a more traditional method. We believe that Panasonic’s Micro Four Thirds compact camera system will witness some competition from the market despite the fact that the market is currently demanding bigger compact cameras. Why we should buy it: Upgrade to the DIGIC 7 processor that boosts the performance. The Good: Comes with optical image stabilization and amazing low-light performance. The Bad: Doesn’t have a viewfinder and 4K video is still missing. Canon has always been known for its amazing DSLR cameras. It was never a frontrunner when it came to the best point and shoot camera. However, when the company stepped into the game with its game changer Canon PowerShot series it instantly became one of the biggest competitors. This digital camera is not considered a small camera since it is on the bulkier side, in fact, these are quite similar to a DSLR. 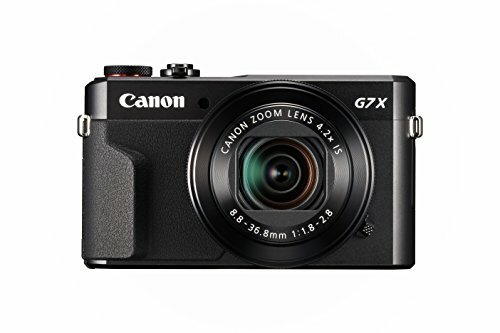 If you own the original Canon PowerShot G7 X then we believe you wouldn’t want this camera however if you want to add a solid compact camera to your kit or replace an older pocket camera then this is an excellent choice. The screen in the previous models would not move. As much as we’d love to see a fully articulating screen, we are glad that Canon PowerShot G7 X Mark II at least tilts. This gives you a little bit of flexibility especially if you are shooting at a weird or unusual angle. All thanks to the DIGIC 7 processor, the response rate of this portable camera is extremely quick. The time in between shots, playback and operation are ultra-fast. This could turn out to be the best compact camera for travel because of the improved battery life. It won’t die before the day ends so you can easily take pictures. The image quality is phenomenal just like the previous versions. Colors are punchy and bright, the low-light performance is surprisingly good especially if you will be printing it on a smaller canvas or sharing on a social media platform. Canon PowerShot G7 X Mark II is a fun and easy to use compact camera that can be considered one of the best travel cameras. Enthusiasts all over the world love that they get operate the camera using manual controls. Canon PowerShot G7 X Mark II also gives you the option of shooting in RAW image format. This can turn out to be quite useful especially when your ISO is high and you are trying to get the details. If you have ever used DSLRs before you’d understand how frustrating it is to use the camera without a viewfinder. It is highly possible that the company rejected the idea of a viewfinder because it would increase the size of the camera, we miss having it. If you look at other competitors like Sony and Panasonic, they found a way to incorporate a viewfinder in a compact camera. So we are hoping that Canon does as well. The Canon PowerShot G series has been one of the favorites and the company hasn’t disappointed us. Canon PowerShot G7 X Mark II is a premium quality high-performance digital camera that you can use as an alternative for DSLR or mirrorless camera. If you love Canon as a brand then you will most probably be confused between G5 X and G7 XII. However, if you are open to choices then you may incline towards Sony RX100 IV as well. Why we should buy it: HD and 4K video mode, 1-inch sensor and Zeiss 24-600mm lens. The Good: Tilting screen, EVF, excellent video footage and image quality. The Bad: It is heavy, pricier and the autofocus isn’t superb at elongated focal lengths. Sony has always been a front-runner when it comes to manufacturing the best compact digital cameras. They were the pioneers of the best point and shoot cameras and because of the Zeiss lens, they have always been at the top of their game. With RX10 III, Sony came out with a phenomenal camera that offers amazing image quality and longer focal range. It is fun and intuitive to the user. Besides producing amazing images, RX10 III compact camera also produces high-quality video footage. The camera offers an array of features and functions that you would not normally find in digital cameras. For those who like experimenting, there are fun modes. RX10 III dynamic range is also quite impressive considering the fact that it has a one-inch sensor. If you want your output in JPEG format then the results are amazing right off the back however if you want to make some fine changes then the RAW format is also excellent to work with. This compact camera is not a small camera so you cannot fit it into your pocket and get going. RX10 III has slow autofocus and definitely not something we would recommend for action photography. As long as you are okay with its weight and size, RX10 III is the best compact camera for travel as it is a portable camera. If you are looking for something to add to your kit, then this might be a tad bit heavier. However, if you want a complete solution for all your problems then you can skip all other DSLR or compact cameras and go for this one. RX10 III is a flexible and versatile digital camera that produces amazing images and video footages. Sure, the price is quite up to there but the bridge camera offers high-quality video, leading functionality and image quality. The JPEGs are impressive, colors and details on the images are on point. Even if you take images at a higher sensitivity, the images will turn out to be just as great. RX10 III is fun to use in most situations especially because of the EVF, f/2.4-4 zoom 24-600mm lens. The autofocus on this compact camera is somewhat of a letdown. We were hoping for something that may cover us on the action photography end as well, but this turned out to be a disappointment. PX10 III truly is an all-in-one compact camera solution, it is the best travel camera that is enough on its own. If you have this camera in your kit, you don’t need any other camera to support it. as long as you aren’t looking for an action camera, RX10 III has you covered. The Olympus rugged camera will thrive on your adventures and come back unhurt. Why we should buy it: If you are looking into an adventure packed vacation, then this rugged compact camera will be your sole survivor. The Good: a Durable body with outstanding action tracking, sharp images, and light painting mode. The Bad: Battery doesn’t hold well in log feature and the lens is prone to flare. Olympus TG 5 is a digital camera with tons of solids plus points including quality image production, rugged and tough design, tracking system and some cool shooting modes like light and macro painting. This is an adventurer’s camera, you can go underwater or over the snowy mountains with this camera. With this small camera, the compact camera niche continues to strive for better, smaller and compact point and shoot cameras. Since smartphones have literally taken over entry-level compact cameras, these tough cameras prove that there are certain places that even the best smartphone cameras don’t work. Although TG-5 isn’t the perfect version yet, it still calls for purchase. Mostly travelers, parents, and athletes buy the TG-5 making it the best compact camera for travel. What makes TG-5 so special is its versatility, it offers an array of features, durability, produces good images and unmatchable speed that most rugged cameras don’t offer. The TG-Tracker, which is apparently the counterpart for TG-5, lacks a lot of features such as optical zoom, RAW support, Pro Capture, Microscopic Mode, Live Composite, and sensor-shift stabilization. 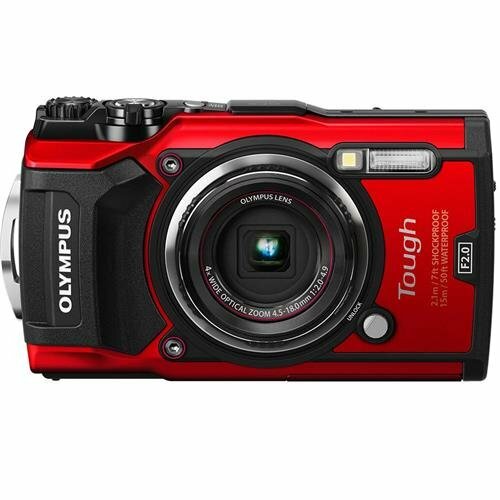 The predecessors of Olympus tough TG-5 had a lot of features missing from it. This is a portable camera that you can take anywhere. TG-5 works well in low-light situations and has a 12megapixel image sensor. It can shoot 4K videos and has 20 frames per second speed which is excellent for action photography. The good news is, you get the same fps even if you are shooting in RAW format. On top of these features, we get a tough, rugged and all-weather resistant body that has GPS and Wi-Fi. You get the f/2 lens which allows you to take brighter pictures as compared to other rugged pocket cameras. You may argue that it is a little pricey for a point and shoot but with the features and performance, we would give it an A grade. The body is designed in a way to make it the ultimate and best travel camera. It can handle water, dust, and drops so you don’t worry about keeping the compact camera safe. Ideally, this digital camera should last longer than most of the rugged cameras available in the market. The company continues to send regular firmware updates so we can hope to see a newer TG camera next year. If you are an adventure seeker and you are looking for the best compact camera for travel then this is an excellent choice. It can work well as a secondary camera where you need something durable for harsh conditions. The image and video quality on this compact camera is solid. You can also use unique modes and get creative. However, you should know that this camera isn’t for everyone because you can use it to its full potential only in rugged conditions. Why we should buy it: This pocket camera brings a 1-inch sensor along with a 10x zoom range for its users. The Good: Built-in Wi-Fi, touchscreen, and 4K video mode. The Bad: Fixed screen and small EVF. Well, Panasonic hit the market hard with its 1-inch pocket-friendly digital camera that boasts a massive optical zoom of 10x. This is something that a lot of portable camera manufacturers haven’t been able to do yet. Now you may ask, what is new about the 1-inch sensor? We know it has been around for some time now but with the optical zoom, the options are extremely flexible. You should know that this small camera lands quite high on the list of best compact cameras for travel. It appeals to most of the travelers out there because it is easy to use, convenient and produces high-quality results. The JPEG format in itself produces mind-blowing stills but if you want to bring out more details out of the pictures, you can choose the RAW format as well. Some of the best compact digital cameras in the market with the 1-inch sensor from Sony and Canon stand in direct competition. It is an all-rounder compact camera that performs well even in low-light situations. The touchscreen has a quick response rate and other dials and buttons on this digital camera makes it easy to use. There is an electronic viewfinder on Lumix ZS100 that works well but it is super small. You also get a bunch of creative filters, the options of Wi-Fi which is a nice addition to have. We would love to see an articulating or tilting screen on this portable camera but we believe that it may increase the weight and size of this small camera as well as the price. Panasonic claims that with this compact camera, they have created a new category altogether that none of its competitors falls into. The pixel count has increased in this model as compared to the previous ones. The pixels are 2.4x bigger and the sensor 4x larger. This is an excellent thing especially if you want noise control and high-quality imaging. Considering how enthusiastic Panasonic is about everything 4K related, it is only understandable that ZS100 has this feature. The main thing that caught our attention the most is the fact that ZS100 can capture JPEG as well as RAW images. The automated options for shooting align well with manual exposure, shutter priority, and aperture priority modes. What’s interesting is the fact that despite the availability of Wi-Fi, the compact digital camera is still missing NFC. As far as the company’s explanation for the missing element is concerned, they believe that NFC isn’t as widely used so they didn’t think it was necessary to include it. Although ZS100 competes against Canon PowerShot G7 X Mark II and Sony RX100 V they don’t come near this device’s optical zoom. 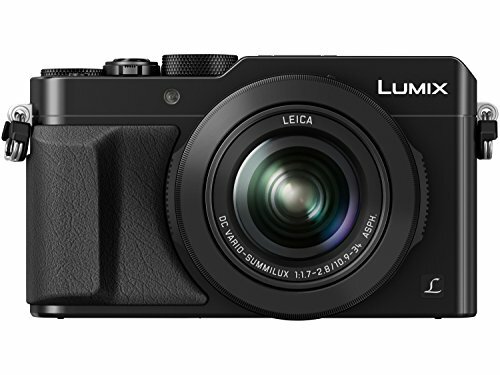 So, we believe that Panasonic ZS100 doesn’t really have a direct competitor. Why we should buy it: Finally a small camera with a high-resolution EVF. The Good: You can shoot in 4K mode and the compact camera has a large sensor. The Bad: It is overpriced considering there is no touchscreen and a limited RAW format operation. RX100 IV is an outstanding point and shoots camera that produces high-quality images and videos. It can easily be the best small camera, however, the price tag is completely opposite of small. We truly believe that not a lot of enthusiast photographers will be buying this camera considering its price. Although Sony has strived hard to make some massive improvements in the areas of operational speed and image quality, there are still certain concerns that make it an imperfect compact camera especially because of the price. Mark III had a pretty impressive EVF but the one on RX100 V is even better because it is collapsible and has a higher resolution. If Sony comes up with another automated deployment of the EVF then it could be better because the two-step process isn’t as amazing. Not having a touchscreen is still an issue because a touchscreen makes some operations easier, like setting focus points. We agree it isn’t that difficult to do it without a touchscreen but it sure does take up some time. All the photographers out there will agree that a couple of seconds while capturing a moment can make a huge difference. The best compact digital cameras out there allow you to use RAW format without sacrificing other features but that isn’t the case with RX100 V. If you want to use features such as picture effects, you must disable the RAW format. Ideally, we would want special effects when shooting RAW so you can remove the effect, not having the option makes us question about its existence. Though we agree that having such a vast range of options and settings is great as you can customize it but the menu navigation can be a pain. Most of us, when choosing a compact camera, look at the image quality. Luckily Sony RX100 V does an amazing job at this. It shoots beautifully both in low and high light situations so you don’t have to worry about the end results. The shutter speed is phenomenal however the focal range isn’t that great, however, it is enough. If you ask us, there isn’t that one thing in particular that we hate, there are a couple of minor things that create an issue. You may argue that the absence of a touchscreen in a digital camera is not that big of a deal. But imagine, you are shooting and you quickly need to change the autofocus point from one end to another. Doing so manually will miss the action and you won’t be able to capture the right moment. We don’t understand, this portable camera is priced equally as the best point and shoot cameras. It is coming from a compact camera manufacturing giant and still, it is missing out on a major feature. Overall it is up to date, performance wise it is on top of its game but these small issues are creating a lot of problem for us. Why we should buy it: Top of the line features, amazing image and video quality. The Good: The image stabilization is great and Autofocus system is super-fast. The Bad: The lens on this digital camera isn’t the best and it doesn’t have weather sealing. When put under the test, FZ2500 is a remarkable camera that aims for the big guns, thankfully its performance matches with the lofty ambitions. FZ2500 isn’t considered a small camera since it resembles a DSLR or mirrorless camera is size and shape. It is particularly aimed at video making so if you are doing so, you’d be highly pleased. 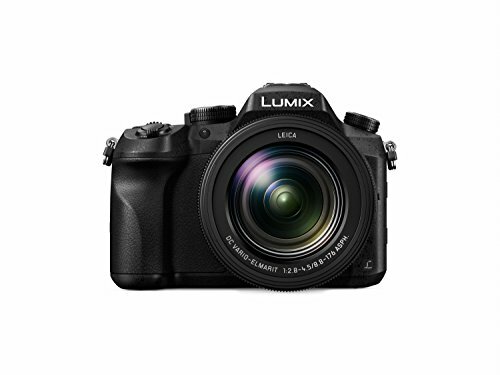 With the Lumix range, Panasonic has managed to earn a spot for itself in the superzoom cameras category. The long zoom lens along with a 1-inch image sensor produces high-quality images that we wouldn’t have even imagined. The super zoom and ability to take phenomenal action pictures make it the best compact camera for travels or adventures. FZ2500 boasts a 3 inch LCD touchscreen with 1.04 million dots resolution. It has 20 megapixels 1-inch image sensor just like several other compact cameras available in the market. It also has a back-illuminated sensor that captures the light more effectively. The ISO range expands from 125-12,800 although you can increase it to 25,600. On record, FZ2500 can continuously shoot at 12 frames per second however it decreases to 7 frames per second when you lock the autofocus on moving subjects. You can increase the fps to 50 when the electronic shutter is in process. Battery life of this digital camera isn’t that bad either. You can take 270 to 350 images depending on whether you are using the viewfinder or LCD. The amount of control given to the user might be a little overwhelming. It falls into the category of best point and shoot cameras that shoot 4K videos. We believe that this portable camera is specifically aimed at those photographers who need a lot of control over video production along with the expansive optic. It is not like you wouldn’t like the compact camera if you are using it for still photography. There’s plenty that may please you including the autofocus mechanism and subject tracking. If you set the ISO scale really low, even then you will notice that there isn’t much noise and the image dynamic range is also quite good. It has become somewhat of a necessity for the best compact digital cameras to have outstanding LCD and EVF. Luckily FZ2500 performs well in both categories. The touchscreen is also responsive which works as an added bonus especially for focus or in awkward orientations. In most cases, FZ2500 outperforms some of its competitors but there are areas where it falls short. Image quality is one such example where Sony RX10 III performs way better. However, it is cheaper so naturally, some people will be inclined towards it. This isn’t a pocket camera so you definitely could not term it under the best small camera category. However, it can fall mid-batch in the best travel camera list because of its performance and well-roundedness. The Good: It is a sleek and small camera that has unique picture effects and shoots beautifully in RAW format. The Bad: The absence of a touchscreen and limited RAW format operation is a letdown. We are all familiar with the fact that the compact digital camera market is declining which is why the manufacturers are shifting their focus towards better image quality, enhanced features, and phenomenal performance. These portable cameras are becoming smaller and with ever enhancing features. Buyers who are buying the best point and shoot cameras off the shelves expect to get a lot in return especially in terms of the value. They want their pocket cameras to outperform their smartphone cameras. They’re looking for something that delivers the unattainable. Sony Cyber Cyber-shot RX100 is stirring a lot of attention primarily because it comes with high-end premium features and competes against Panasonic LX 5, Canon S100 and Olympus XZ-1. A larger sensor is what’s considered the key to success in the compact camera market. RX100 has a 1 inch Exmor CMOS sensor paired with 20.2megapixel, which promises high-quality images. Overall the camera comes with multiple premium features and elements that put it on the list of best small cameras. You are given a lot of manual control along with RAW shooting mode, f/1.8 and f/4.9 maximum aperture. Besides these features, Sony has still managed to stay in the same small body as RX1. Now let’s look at the dynamics of this impressive and interesting camera. It has a large image sensor that produces amazing images even in low light situations. The overall body to size ratio is quite impressive making it one of the best compact cameras for travel. When you are traveling, there are places you want your camera to work well so RX100 helps you light up the frame. Considering the target market and only its output capabilities, RX100 is almost perfect with its performance speed and image quality. The vibrancy of the images is on point and performance wise it is a solid camera. The best part is that it is a small camera and easily fits into your jeans pocket. The only thing stopping it from being perfect is minor handling issues and the inability of using all features in RAW format. You can only use a couple of features in RAW format which is a letdown for us. The sleek and stylish design packs the performance of a powerhouse compact camera. You won’t be disappointed by the image quality front and the screen resolution is something worth mentioning as well. The unavailability of certain features such as Picture Effects and Clear Zoom in the RAW format is frustrating. 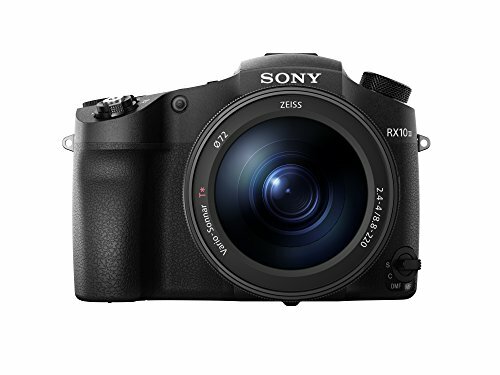 Sony RX100 can be an excellent backup or additional camera to add to your DSLR kit. It will work best as travel camera so you can opt for the lightweight pocket camera when you can’t carry the heavy DSLR. Why we should buy it: The most desirable camera with tweaked handling, excellent autofocus mechanism and better sensor for sharper images. 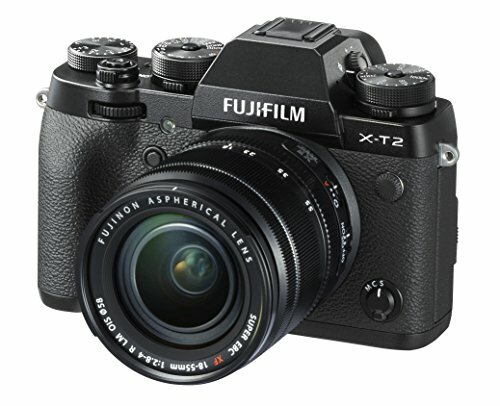 The X-T2 is an SLR like a mirrorless compact camera that boasts a fast zoom lens. This digital camera has an APS-C CMOS X-Trans III 24.3 megapixel sensor along with the clever filter design. With the help of this clever filter, you get to squeeze out more details from the image. Even the sensitivity range is good, it goes from 200-12,800 and can be increased to a maximum of 51,200. The best thing about this camera is that you can shoot in the RAW format even at the maximum sensitivity. The EVF has also improved, it is brighter and comes with a brightness adjustment automated function. Besides the EVF, the standard rear display is also upgraded although it may seem the same at first on the ground it displays better results. It now has an articulating screen that tilts on both sides. Although it has a baseline of 60 frames per second you can instantly increase it to a 10fps with the help of Boost mode. This ensures that you can capture moving subjects better. However there is a catch, if you want the increased frame rate, you are going to sacrifice a lot of battery. 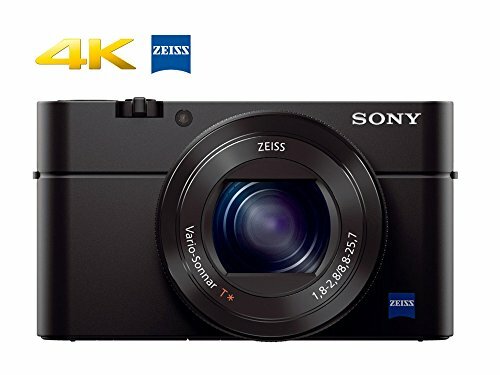 This compact camera can shoot in 4K UHD mode which is excellent for video lovers. So technically with this point and shoot camera, you get the best of both worlds. You get to capture phenomenal images and make breathtaking videos footages. X-T2 is not a small camera or a pocket camera since it looks and feels like an SLR. It could be considered one of the best point and shoot cameras because technically you aren’t manually adjusting or setting anything. You can take the X-T2 on your vacations as it serves the purpose of the best compact camera for travel. X-T1 was a cult classic and we personally loved it considering the strong built, solid controls, small body, and amazing results. However, it wasn’t the perfect one mainly because of the poor autofocus performance. When X-T2 was introduced, it managed to change everything and set groundbreaking results in the portable camera market. The handling was upped, a rear display was double hinged and this digital camera came out with the best autofocus performance yet. Although it is an upgrade from X-T1, it truly is a sophisticated and well-developed system. This compact camera is a class apart with unmatched action photography mode along with reliable and quick performance. Although there are certain aspects that can use some improvement but overall it is an amazing digital camera that you can travel with. The image sensor produces high-quality pin sharp stills that most portable cameras fail to produce. Before you jump into the specifics of buying a camera it is essential that you figure out what type of camera you require. Finding the right one for you can be difficult and confusing at the same time. Megapixels don’t really determine whether the camera is good or not. Since we are talking about the best compact digital cameras, we will give you a buying guide according to digital cameras. So what is a compact camera? It is a small camera that is an all-in-one solution that does most of the work automatically. Some compact cameras sacrifice key features for a sleek body, however, all portable cameras on this list as sleek, sophisticated and simple. This is probably the most important thing to consider. Before going out for purchasing a compact camera, we suggest that do some financing and take out the amount that you can easily spend on a digital camera. Remember, as you continue to add features the price of the portable camera increases. Ask yourself questions like, whether you need certain features or not. Never go overboard with the budget because it will only put a burden on you. When you are choosing a basic pocket camera there are certain things that you need to consider. It should be small, lightweight, simple and easy to use. This will ensure that you capture the moment instantly without missing it. An automatic compact camera is more of an ease of process, imagine you see something that you want to capture instantly but you forget to turn on the flash and the moment passes by. Furthermore, it should be able to capture impressive images. When we are choosing advanced point and shoot cameras, our focus shifts to better features. We are more interested in phenomenal image quality, easy to use, manual controlling option, optical zoom, and optical image stabilization. The image sensor is one of the most important things to consider when choosing a compact digital camera. You should know that higher resolution has nothing to do with the image quality. So think about it statistically whether you need the high resolution or not. As it will only drain out the battery more and require larger storage. Not all cameras support the big SD cards and some small cameras don’t have the option of expandable memory. Losing a micro SDcard can be quite easy and having a compact camera that doesn’t support a bigger card can be frustrating. So choose wisely. Batteries are extremely important, most people purchase portable cameras so that they can travel with it. The best compact cameras for travel usually have amazing battery life. They usually last you an entire day. However, there are other models that would only last for a couple of hours. So you need to consider the battery life on the digital camera that you are choosing. In the case of travels, do pack extra batteries so you aren’t left stranded. Look in the box whether it comes with a video output. It may not seem as important but it is quite handy especially if you like watching your footages or images on a larger screen. You can easily connect your pocket camera with the television and show it to your group of friends together. These days, most of the compact digital cameras come without a viewfinder which is quite frustrating. It is 2018, why wouldn’t the leading compact camera manufacturers add this simple feature? It makes image composition much easier and quicker. You control the depth of field with the help of aperture, you can select the area to be focused in an image. You can set the shutter speed for focusing on moving subjects or even to take better images in low light situations. Mostly enthusiast and professional photographers enjoy the option of focusing manually. While most compact cameras don’t offer this feature there are certain SLR like digital cameras that do. If you are someone who enjoys manually focused images then look out for this feature. As regular camera users, adjusting the white balance is the worst. We hate setting the right colors so we always prefer automatic white balance, however sometimes it is nice to override the automatic settings and bring out the colors that you desire. Especially with small cameras, having an automatic white balance option can cut down a lot of time. When the camera lens is longer, it becomes quite difficult to hold the camera still. This is where image stabilization comes in, you don’t get blurry images. The elements of the lens system movement are automatically adjusted by the camera system. Best travel cameras offer image stabilization so you don’t end up with blurred images.